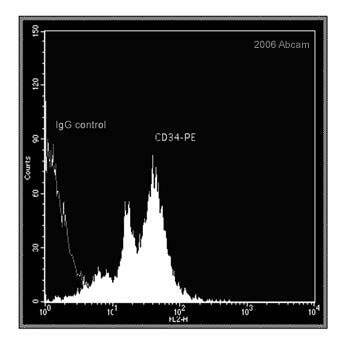 Recognises the murine CD34 cell surface glycoprotein. Murine CD34 is expressed by haematopoietic progenitor cells in the bone marrow, and also by endothelial cells. Cells transfected with recombinant full length protein (Mouse). Our Abpromise guarantee covers the use of ab23830 in the following tested applications.